The new Portman event run at Rushmore was bathed in sunshine yesterday and made for a most enjoyable day for everyone. I had a particularly good day with the young ones, all performing really well. Jenny Dowling’s Little Fire notched up his first novice win which was extremely exciting. He scored 27.5 in the dressage which had him in third place. His work is really developing but he does have the odd moment still when the concentration goes resulting in a few lost marks here and there. However he does take it all in his stride, finding the work all too easy. He show jumped a lovely clear, and then gave me a lovely ride cross country. I put my foot down a bit for the first time and I was very pleased with how adjustable he was. He did not get strong and it was a good opportunity to move up a gear as the optimum time was not too difficult to achieve, allowing for the demanding terrain of the new course. 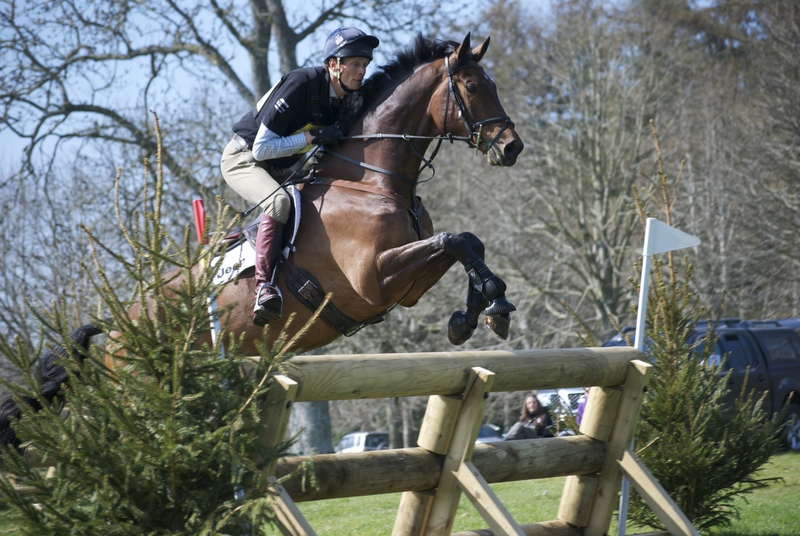 Dynasty did a good test of 29.3 which had him right up amongst the leaders, there were just a couple of inconsistencies but otherwise he was very relaxed and amenable. He was unlucky to roll a pole in the show jumping and jumped a well controlled and balanced round. He then gave me a great ride cross country in a lovely rhythm finishing inside the time. His pole down in the show jumping proved quite expensive, costing him a win and resulting in eventual 8th place. His section was incredibly tight with the top 8 finishing within 3 marks. I decided to give Ramdam De Mons an open novice run after his Intermediate last weekend, and that proved a good decision, giving his owners a satisfying win. He was second after the dressage on 26.3 with an accurate and smooth test. 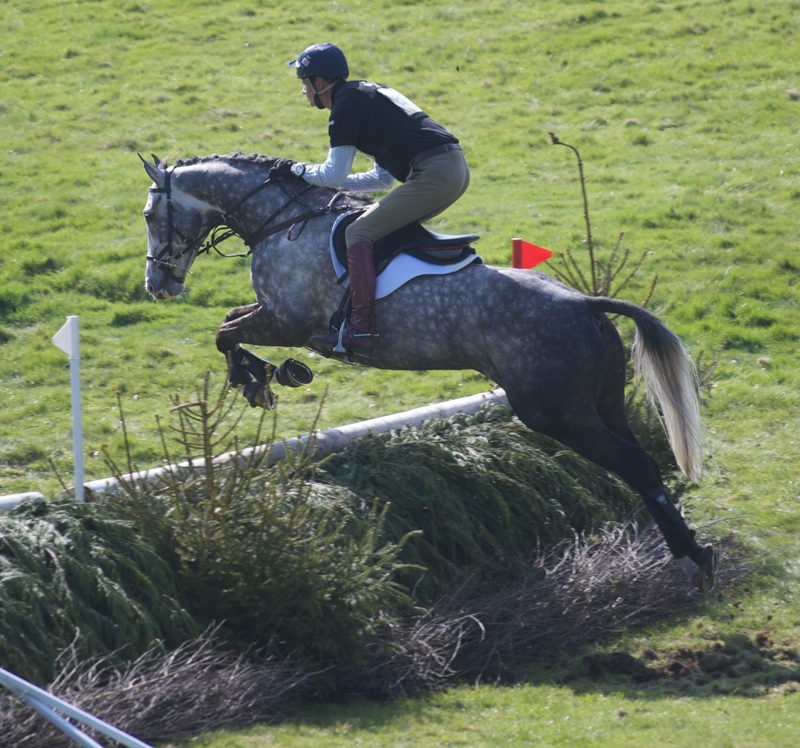 He jumped a good clear and then was very confident cross country, finishing on his dressage score. Reinstated finished second just behind him with a 27.8 dressage with just one little mistake. I was very pleased with his show jumping round and he enjoyed what is probably his last novice run – time for him to move up a level! The Soapdodger finished third, just one penalty behind. He had been equal second after the dressage - his dressage has really come on this season with more strength and confidence. He jumped a lovely clear show jumping giving the fences plenty of air, and he was fabulous cross country, although I was a little surprised to get 1.6 time faults. He felt very balanced up and down the hills and I was surprised that he came in just over the time. The Yarrows and the Portman team did a superb job running a really enjoyable day, Owners had a fun day and a lot of spectators will have had an enjoyable day out. It is a very exciting new venue and our thanks go to William Gronow Davis for hosting the event so generously.